I, just like you, am all about that Fall manicure! But those darker colors can be a total pain in both the application, and the removal process. I have spent countless hours trying to get dark nail polish off my fingers! I go through what feels like 1,000 cotton balls only to have my nails left looking “dirty”. And don’t even get me into the application process, I mean really, it’s like the end of the world if you end up accidentally messing up your paint job. IT TAKES FOREVER to get right! That’s all enough to steer you completely clear of that Fall mani-pedi, but I am here to save the day! 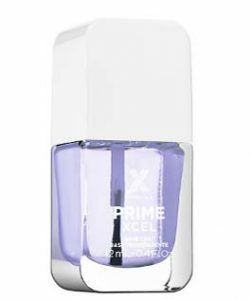 I have recently found a few products that I really REALLY love that I have found make the biggest difference in my manicure stress! I really love both the Revlon Color Stay and the Formula X base coats, I have been using the Revlon one for years now and I LOVE it! I recently received the Formula X base coat and I’ve been using it for about a month now and love it as well! A good base coat is an absolute must! Far too often I end up buying the “it” color of the moment thinking it will look just as cool on me as it does on that “it girl” I saw wearing that same color. I have very fair skin, so I have to be extra careful with what color I wear, all that to say, know what looks good on you, and stick to those colors! Here’s a great article on choosing the right color! Get a tiny make-up brush that you can use as your “corrector brush” so you can make corrections as you go! I have always used a q-tip, which quite frankly does. not. work. and recently switched over to a brush, which is AWESOME! 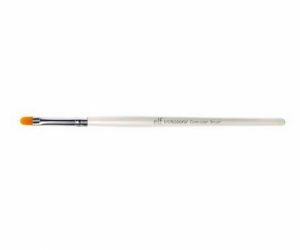 I just pour a little remover into a bowl and dip my brush in when I need to make a correction. 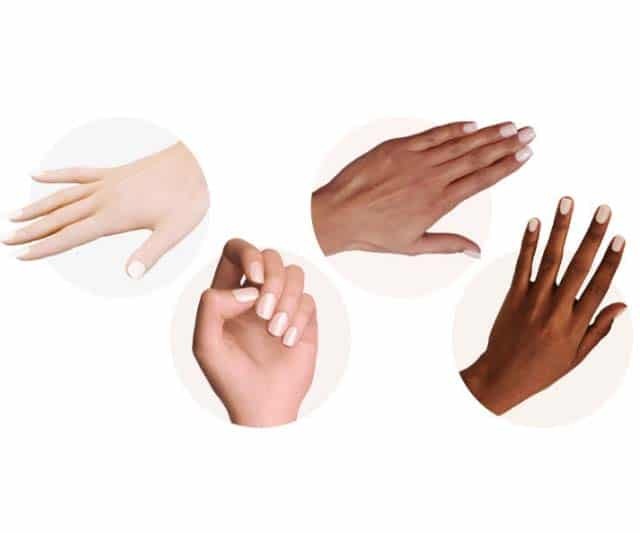 Top Coat Matters and So Do The Tips of Your Nails! Like the base coat, the top coat matters just as much. 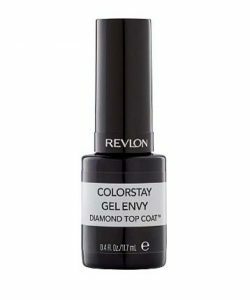 I have an obsession with the Revlon Color Stay top coat and frequently give it as gifts because it is that awesome. Also, when you are applying the top coat, don’t forever to swipe over the very tips of your fingernails! If you do a lot of dishes like I do, this will SAVE your manicure! A Good Remover is Everything! I know I mentioned this before, but removing dark nail polish is THE WORST EVER. Seriously. But I have recently found the most magical remover on the planet. I am not kidding! I did a little Snapchat tutorial about how incredible it was last week and it got the most screenshots and snaps I have ever received. It’s like voodoo magic. I have no idea how it works, but it does and it is a life saver. If you do one thing this Fall, you need to buy this! 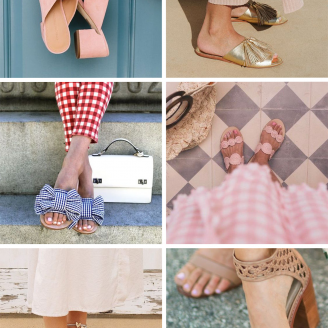 My Top 3 Summer Sandals and Nail Polishes! Previous Post Apple Spiked Ice Cream! Next Post Swoozie’s + ABD = Best Girl’s Night EVER! 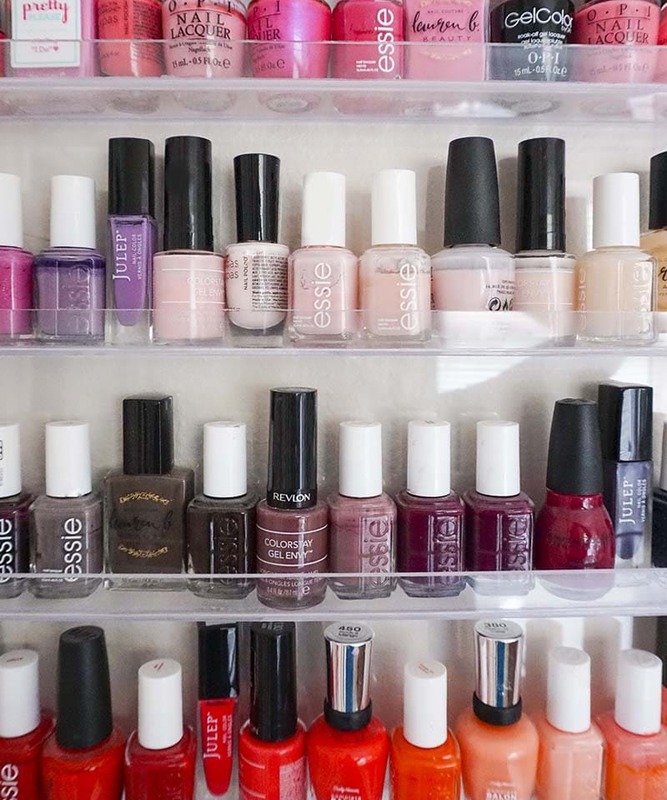 Where did you get your nail polish organizer?